Our data is more important than our device. If our phone is lost, we worry more about our contacts, images, music and files than our lost phone. 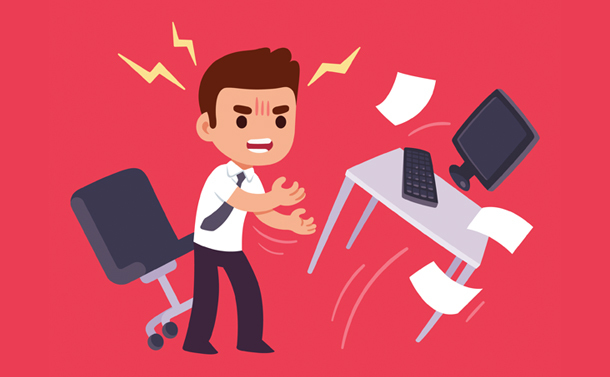 Just imagine the pain of system crash without option of data backup where you lose everything on your hard drive be it your important documents, your family memories your years of music collection, downloaded movies, games, passwords, favorite videos or anything. We can not afford to lose any of our precious piece of information just like that. Data backup on cloud storage is the insurance we can do for all our stuff. 31st March, World Backup Day is an initiative by Tech Geeks to educate and remind everyone to backup their data. Although it is recommended to backup data on regular basis however if you miss out on this, 31st March can be considered as an official reminder for the same. Data backup is a simple process to make a second copy of all your original files which are precious to you. This can be done on an external Hard Drive, Disc Drive or Cloud Storage. Its common to keep data backup on cloud storage however big companies also store data on offsite servers. In misfortune conditions, it is always accessible from any location and you do not fear of losing even a single byte. Whenever we want to create a new document or file, we have option to create it directly on the cloud storage. For example, creating a Google Doc on Google Drive. There are few managed backup centers available which automatically backup the data periodically on their storage. Greatest example is Microsoft One Drive. If you are logged in and you create a word document on your PC, backup service will automatically take a backup on cloud storage at a scheduled time. The application collects, compress, encrypt and transfer the data to cloud storage. Data stored on cloud’s local software as an application, automatically transfers to cloud’s main storage at a scheduled time. Most organizations instead of seeding the data to cloud storage directly which engage the network, they ask cloud service providers to send a physical disk drive to send the data to cloud servers. It is very simple to backup your data. You can select all the files you want to backup and copy-paste them on your second storage. But what if you make a change in your original document? It will not be applicable on the copy you saved on second storage. If you want to add more files, you will again need to do the same process. This sounds annoying! Don’t worry we got a trick for that. Alternatively, you can create a folder and sync it with your cloud backup so that whenever you save a file in that folder, it automatically creates a backup on cloud. If you make a change to your file, the changes are automatically applicable on your copy. But if you accidently delete the file from original location, it will delete the copy as well. We do have a solution to this as well. If you have parked a car in paid parking, it’s only safe until the parking owner decides to keep it safe. What if he decides to steal it? What if this is his last day at work? What if he was waiting for this car to get in his custody? Same is with your data. Every cloud space is owned by someone. Few are subletted on multiple levels and everyone has access to it. You must have heard of Server hacking and Website hacking news a lot of times. Don’t get scared, we have got a solution to this as well. Backup on Cloud OR on a Hard Drive? 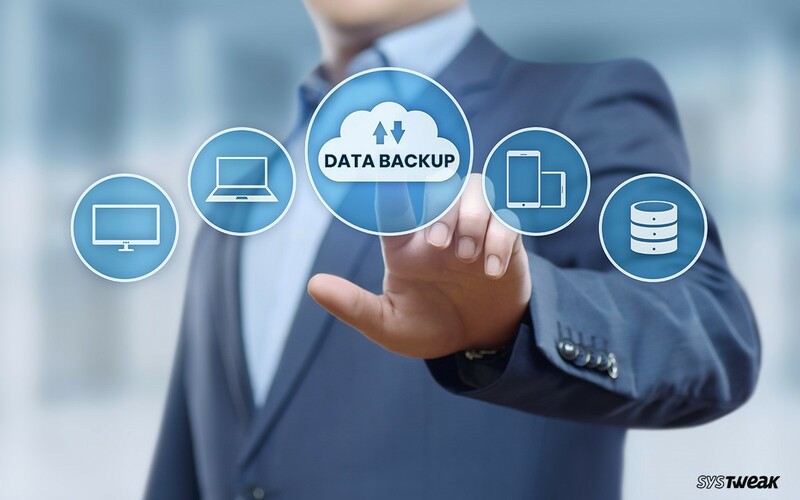 There are few measures which we may consider when it comes to decide if we want to backup the data on Cloud or on a Hard Drive. 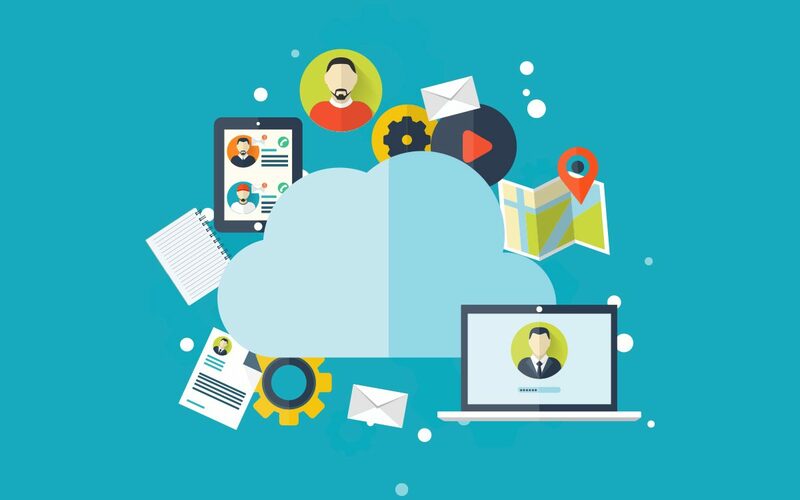 Data Size: For organizations, if the Data size is more than 3 TB, Cloud storage is the best preference as it keeps your Data secured, centralized and accessible from any location. If it’s lesser than 3 TB, you can always take a backup on Hard Drive. For home users, Cloud storage is always the best preference as the Data can be accessible anytime on one tap. Exchange Rate: If you don’t access your data every now and then, its recommended to back up the Data on Cloud however on the other hand if you randomly access the Data then it’s recommended to keep it on local Drives. Is your service provider meeting your requirements? Do you have plentiful bandwidth? Will your Data be secured? We Have Got Answer To All Your Worries! Introducing Right Backup, One of the easiest, safest and secured Data Backup service providers available since years. A one stop solution to backup all your Data in most convenient and efficient manner. Supports All OS: This Data Backup software supports all versions of Operating Systems including Windows, iOS, Android, MAC and many more. Control Your Audience: Its exclusive ‘Control Your Audience’ feature gives you an advanced customized control to give data access to your friends and family members. Best Safety Features: With AES-256 encryption on Right Backup servers, your Data is as secure as it can ever be. Right Backup uses SSL encryption during and after backup process to ensure highest level of security for your files. Multiple Device Access: Right Backup allows you to access the same account on multiple devices. For example, you want to migrate your data from iPad to your Android Phone, you can do that. If you want to backup files from all your devices, you can setup and login to the same account and exchange files. File Types Supported: This backup tool gives you access to save and execute almost 150 filetypes. Files with all popular file extensions can be backed up using Right Backup. Unlimited Storage Space: Right Backup has huge server space to cater all types of organizations. No matter if you have Bean Size Data or World Hunger Database, Right Backup is the destination for all such Backups. Automatic Backup: With its backup scheduler, you get an option to backup all your Data on a scheduled Date and Time. It comes with a 12-hour automatic backup setting which can be customized as per your preferences. Smart Restore: Right backup comes with Smart Restore option which allows you to restore your files and folders swiftly. It’s custom restore option also allows you to select files manually and restore them on any device you wish. So never miss out on any of your important memories and always stay backed up with Right Backup. You may follow below links to go for a free subscription for a month or download and install this amazing online storage solution. Over 10 Million customers have already tried and trusted this amazing service.